Inqaba Biotec East Africa Ltd (IBEA), a Biotech Company which was started in 2010, is the first subsidiary of Inqaba Biotec Pty Ltd and captures the wider East African market. Our main aim is to improve logistics and supply chain of life science and molecular diagnostic products and to offer genomic services also in our area. We have slowly become one of the most popular suppliers of molecular reagents and equipment in the region. All of this has been made possible by the young and motivated team of dedicated molecular biologists who do their best to satisfy our customers. You may have met a few of our staff members and interacted with them during customer visits at your various institutions. 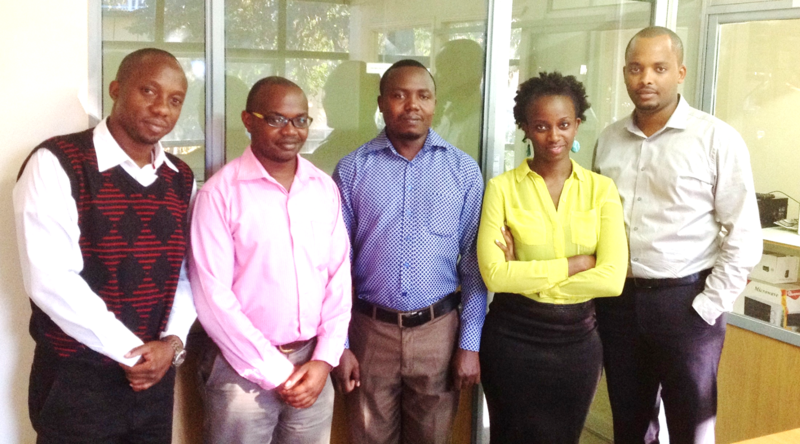 We take this opportunity to introduce you to the inqaba biotec East Africa team in a chronological order. Fabrice Wane is the Managing Director of Inqaba Biotec East Africa Ltd. He has been with the Inqaba Biotec family for 7 years. Having spent a lot of time in the oligo production lab as an intern, he got to earn the title “Oligo guru”. He also worked in Sequencing and NGS labs, and acquired skills in the internal sales department. He is also known as Mr. Fix-it! There’s no equipment too hard to fix. He holds a BSc in Biotechnology from Tshwane University of Technology and he is really multi-lingual. Fabrice speaks English, Kiswahili, Kinyarwanda, Lingala and Sesotho and popular for his fluent French. After his internship at inqaba biotec in Pretoria, he was deployed to head of the IBEA team in 2012. Our IBEA subsidiary has grown under his leadership and tenure to become one of the renowned life science companies in East Africa. Joseph Geda is IBEA’s sales area manager for Nairobi. He has a BSc in Natural Sciences / Microbiology & Physiology Stream from University of South Africa (UNISA). He started as an intern in the Sequencing lab in Pretoria and joined IBEA in September 2012. Beforehand, he already gained experience at Unilever Kenya Ltd as a Sales Representative. Upon his current molecular biology and sales experience he is eager to gain even more scientific knowledge and analytical skills to be able to add value to the scientific community. William Nyakundi joined the IBEA family in June 2013 as an intern. He holds a BSc in Medical Microbiology and an MSc in Biotechnology from Jomo Kenyatta University of Agriculture and Technology, where he already worked as a lecturer in molecular biology. He did an attachment/internship in HIV research at Kenya Medical Research Institute (KEMRI). Then he joined IBEA and is now the Sales Area Manager for Kenya. In the few years he has been with the company, he has managed to expand the IBEA clientele in Kenya with his passion for molecular biology and a good sense of humour. He already gained professional experience that includes scientific publishing, presenting at conferences and advanced training from Mettler-Toledo in Switzerland. Anthony Muniu doubles up as the Administrator and Accountant of IBEA. He began consulting for IBEA in 2012 and became an employee in early 2013. Anthony is a trained CPA accountant and central to IBEA as he assures that the finances stay up to date. He attended the Orbit School of Management Studies and worked afterwards as accountant or tax accountant for different companies. Anthony speaks basic French, something peculiar to IBEA! He is hardworking, meticulous and passionate about his job. Rachel Munyi is IBEA Sales Assistant for Nairobi, the “First Lady”. She started as an intern in November 2014 and is now fully employed at IBEA. She holds a BSc in Biochemistry from University of Nairobi and an MSc in Biotechnology with Business Management from UCSI University, Malaysia. She stayed at UCSI as graduate teaching assistant and improved her research skills at different facilities as a lab technician. She’s hardworking, determined and has a curiosity to learn. If there is something she doesn’t know, she makes sure to find it out. Kenneth Mbwanji is the newest kid on the block in the IBEA family. He joined the team in August 2015 and is currently the Product Manager of IBEA Tanzania. He did his Bachelor, Honours and Masters studies at Stellenbosch University specialising in Molecular Biology and Biotechnology. While studying, Kenneth was actively involved in different student organizations and initiatives. Not only that but he was also working as a tutor, student assistant and a writing consultant. He has an extensive international experience, which he has gained during his studies in an exchange program, but also due to his self-interest in travelling. 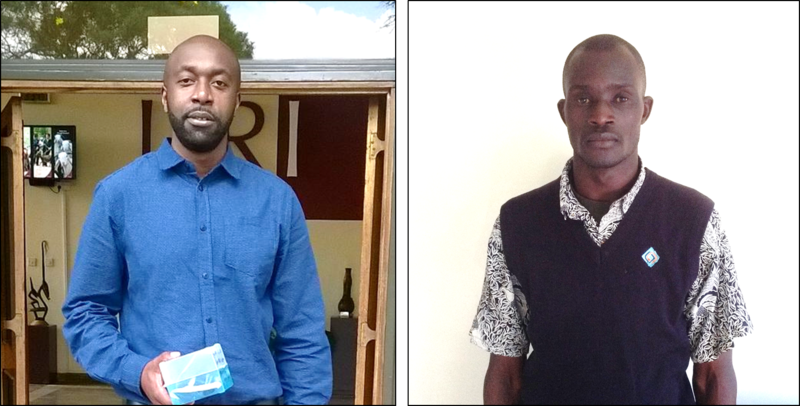 Kenneth has quickly adapted to IBEA and is already making headways in Tanzania. He has a passion for molecular biology, research and salesmanship. Do you offer industrial training attachment to students pursuing Bachelor of Agribusiness Management? Thank you for your interest in Inqaba Biotec. Kindly note we do offer training to student perusing careers in molecular Biology. Our shortlisting are done in November/December for the January of the coming year. Successful candidates will be contacted by the relevant department head for further interaction. Thank you for your interest in joining inqaba. Please be advised that applications for 2017 internship intake will re-open in October. Kindly send us your CV and academic record to info@inqababiotec.co.za to be considered for a placement in one of our labs. Hi I have a degree in biochemistry and microbiology. I want to know if I am the best fit for the internship. Thank you for contacting inqaba biotec. Yes your qualification does meet our standards to be considered for an internship at our labs. Please send your CV and academic record to info@inqabaniotec.co.za in October as we will be shortlisting for 2017 intake. Hello there, I’m in my last year of University, taking Bsc. Animal Science. My major interest, however, is in animal genetics and I would like to pursue my Master’s in that area. Am I eligible for an internship at your organization? Yes, you are eligible for an internship at our labs. Hi, am Japheth Kalule. I have a degree in Bsc genomic sciences. Can I get an internship opportunity in your organization? Dear Japheth, Thank you for your interest in Inqaba Biotec East Africa Ltd. We do provide internship opportunities. Please send your CV and cover letter to info@inqababiotec.co.ke. We wish you the best of luck. I’m Felix Maingi. I have a degree in Biochemistry and Molecular Biology. I am seeking for job opportunity in your company. Thank you.